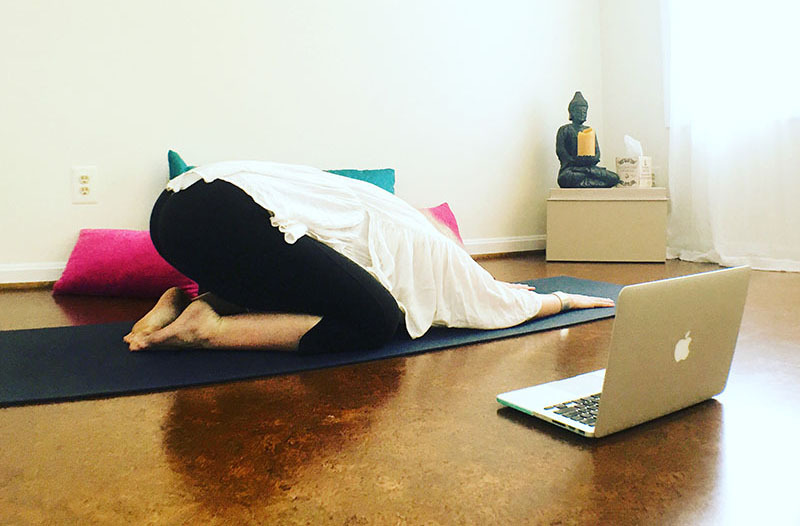 Yoga from the comfort of your own home. I have a variety of yoga services that I offer and can make any program customizable. Let this be a time to challenge yourself, but challenge yourself without judgment. I am trained in Vinyasa Yoga, which translates to linking breath with movement, Viniyoga, Yin Yoga and I specialize in Therapeutic Yoga. Therapeutic Yoga is based on these principles: Movement, Breathwork, Meditation, Nutrition, and Life Style/Habits. I teach with this principle as my foundation, creating safe classes and private lessons/Skype lessons that flow with intention, purpose, fluidity, and grace. This way, the practice becomes a moving meditation, deepening your connection to your mind, body, and breath. We are all trying to develop our own levels of awareness, strength, and flexibility. Give your body the opportunity to unlock the tools that you hold within, to nourish your mind, body, and spirit, through movement, patience, and breath. Prioritizing your time is hard. Not arguing with that. But… It’s so worth it. Finding the motivation and inspiration to do the practice so you can reap the benefits of a lighter body and calmer mind. You will show up more present, and will be less reactive. This allows you to cultivate a healthy and happy mind, body, and soul. I’m not flexible. I can’t do yoga. Well… I’m here to call BS on that! Sorry! Flexibility and strength will build over time. I’ve been a runner over 20 years and practicing yoga over 15. Let’s just say… My body wouldn’t be so happy. You really need to de-stress, let go of anxiety, you want to tone your body, feel confident from the inside/out while getting out of your head, or maybe you’re struggling with an addiction. But you just don’t have any time for YOU. Life is just too crazy busy. Trust Me… I get it! You would LOVE to develop more flexibility and strength so that you can FEEL free and finally get that yoga body and vibration from the inside and out. You CAN have all of these things! You just need a little bit of help. Someone to be your biggest cheerleader and do the work with you. Private yoga sessions focused on you. Your goals. Your body. Your mind. Your spirit. Your confidence from the inside/out. It’s time to make YOU a priority. Your online private yoga session is all about what you need. I’ll give you homework after each session so that you can continue to develop your practice and skills in between our sessions. I am also just a message or phone call away. We work together in our own spaces. That means less travel time getting to your gym or studio and more time enjoying what you really love. Also, one on one attention, guidance, and support on this beautiful journey. I will use specialized breathing techniques and stretches in our yoga sessions formulated to help you relax and wind down after a long day. Or better yet… Start your day off fresh and focused. I will teach you safe and proper alignment for each pose and give verbal adjustments. You will always be able to do a yoga pose with the modifications I show you, connecting with your practice on your level. One on one yoga sessions, ensure that you have the proper alignment in every posture, and are receiving enough attention to work on your own unique abilities. 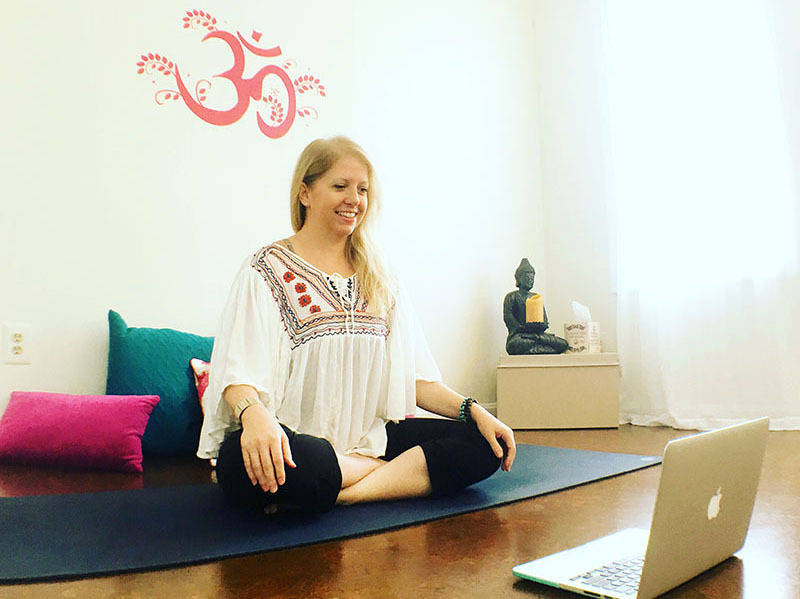 In our private yoga sessions on Skype, we will work together on your goals to create a practice that is uniquely yours, so that you can achieve that great body and peace of mind that you’ve been searching for. The power and essence of yoga are so powerful! • You’re brand new to yoga and want help learning basic techniques before attending a class OR you have attended classes and are ready to take your practice to the next level. • You need some extra attention in your practice due to an injury or illness. • You can’t fit time in your busy schedule to get out of your home to attend a gym or a yoga studio. • You need extra motivation from someone to complete your health and wellness goals. • You’re ready to create massive change and dive into a self-care and self-love regimen where you focus on loving your mind, body, and soul more than ever before. Are You Excited? Ready for the Next Step? 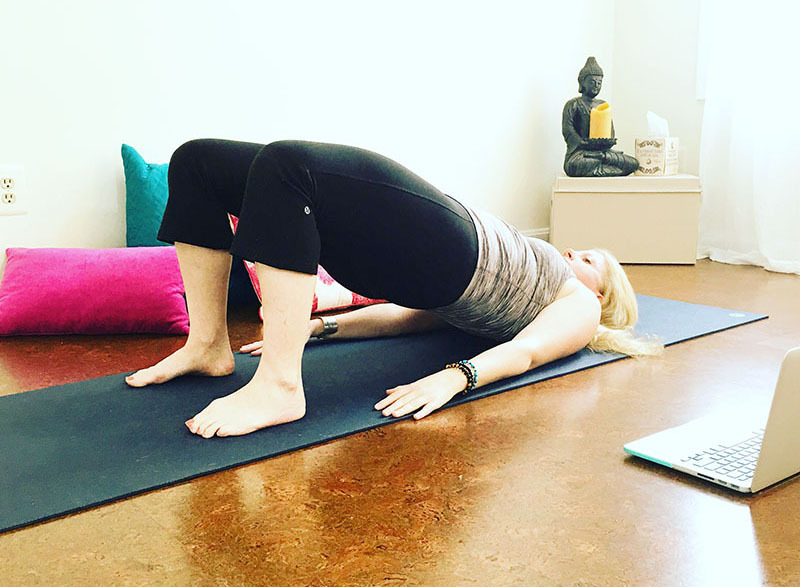 In one session, we can break down the basic postures and fine-tune your alignment to decrease your risk of injury in a yoga class and create a yoga flow specific for your body. Start to feel better both in your mind, body, and soul. In just one month, we can really turn things around for you. You’ll start to feel better in your mind and body. You’ll feel less stressed and stiff after you come home from the office after a long day. You’ll start to feel more present in your mind and body. You’ll start to feel stronger and more confident on and off your mat. And.. You’ll have a clearer mind, which will lead to a great night’s sleep! • 4 private 60-min Skype yoga sessions. • A yoga flow catered to your body and needs for each session together. • Specialized breathing techniques and meditations to help you destress and clear your head. • Access to a members-only online library of yoga videos and meditations. • Homework to take from session to session to take you to the next level. This is for you if you want lasting change. Start to feel better both in your body and in your mind. Feel less stressed and stiff after you come home from the office. Develop a consistent at home yoga practice so that you’ll always have the tools you need when things get too tough. Gain strength and flexibility in your body that you never thought possible. Prioritize yourself and build lasting change. Develop a self-care and self-love regiment. Clear your mind and finally get a good night’s sleep! • Access to a members-only online library of yoga videos, meditations, and more. • Homework to take from session to session to take your practice to the next level. 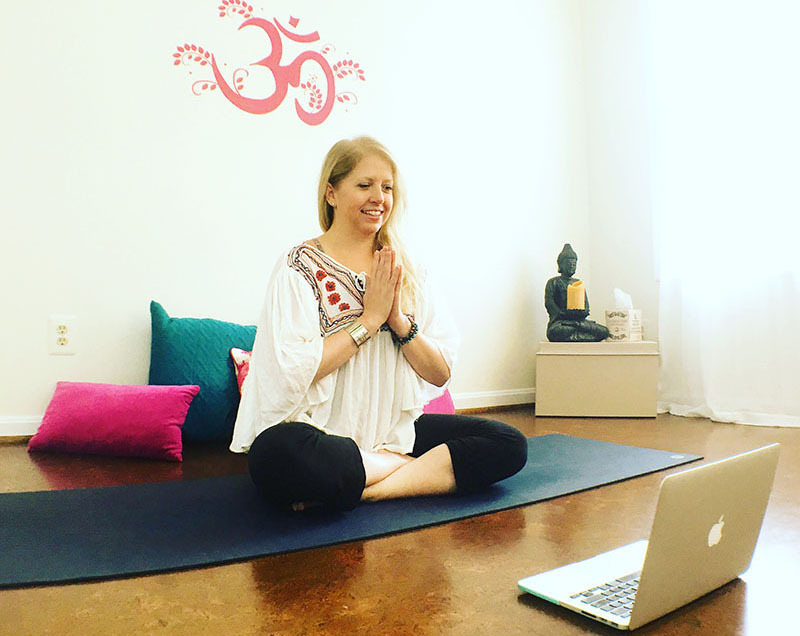 Do you have a loved one that would benefit from an online private yoga session? Need a few questions answered before you make a decision? Leave them below and I will respond to you within 24 hours.